Accord Bus is known for creating luxury charter coach experiences that take the hassle away from traveling as a group. 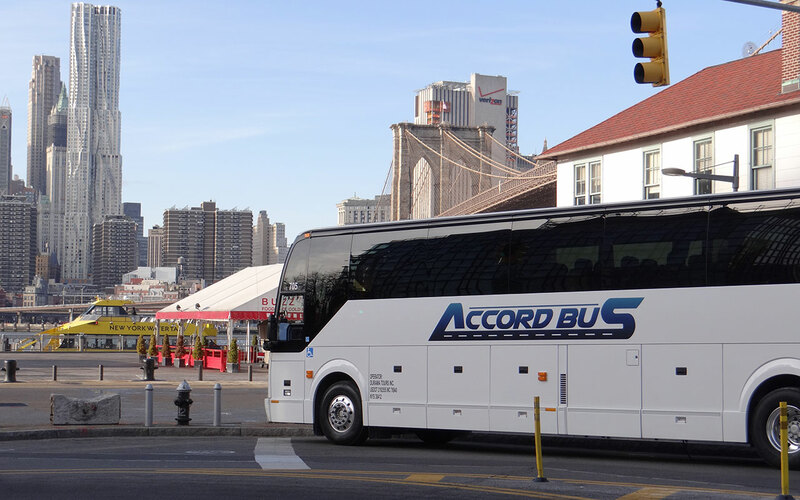 Whether you have an upcoming school/field trip, college trip, church group tour, corporate event, or any other group tour, Accord Bus handles every detail to ensure your trip is safe, enjoyable and worry-free. Rent a clean and maintained charter coach bus + a 19A certified professional driver you can trust. From day charters to overnight trips, no matter where you want to go, you’ll get there stress-free with Accord Bus. Do you have a specific question you need answered? 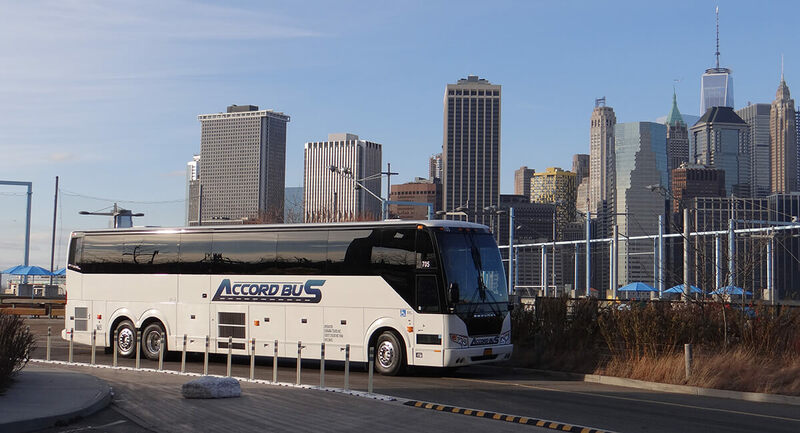 Get an instant reply by contacting Accord Bus – Professional Bus Rental Provider in NY. Your charter coach bus transportation will be prompt, comfortable, safe, reliable and enjoyable. We offer a wide variety of charter coach bus rental services. Get an instant quote by giving us a call at 212-973-8282 now. We understand the need for reliability and punctuality to all organizers. We ensure that our coaches arrive at your destinations on time, whether it be for the start of a match or to catch a flight. Our coaches contain the most modern equipment and can transport up to 56 passengers. We are centrally located to Brooklyn, Manhattan, Queens, the Bronx, and Staten Island. We are a family owned business who’ve always provided a personalized customer service experience. We provide new buses along with experienced drivers who are all 19A certified drivers. 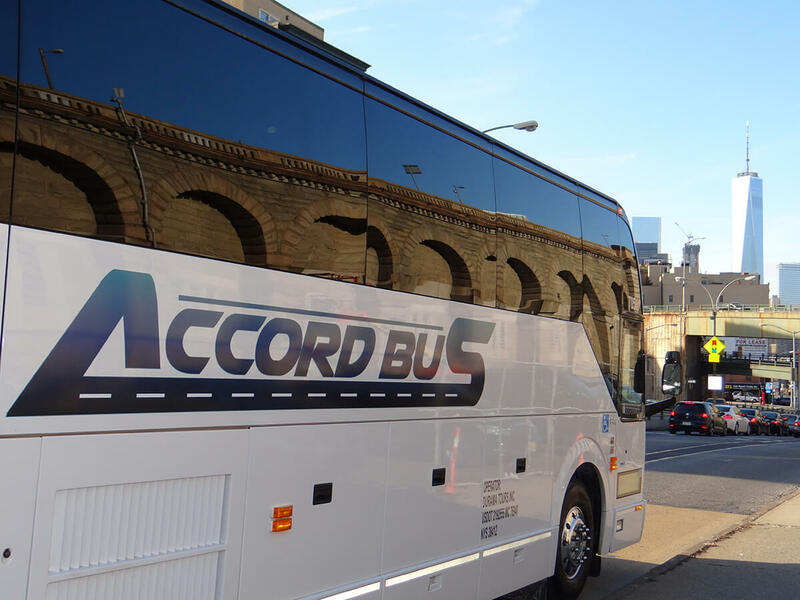 Accord Bus’s well trained, friendly and professional charter bus drivers continually sharpen their skills and take pride in making every trip a great experience for their passengers. You can relax while they get you where you want to go. To ensure your safety and give you peace of mind, every Accord Bus driver undergoes random drug screenings, DOT mandated physicals, background checks, and ongoing training. It takes a well trained team to ensure that every safety system is in place and working. This results in highly trained and prudent drivers operating the safest motor coaches on the road. It’s critical that our drivers achieve and keep their driving skills honed. In addition, being knowledgeable about the most current safety information as well as the safety features and procedures is paramount. That is why our drivers receive training continuously. At Accord Bus, we follow a regularly scheduled maintenance program. Our maintenance staff ensures that the equipment is working properly and makes any necessary repairs. Although our safety record is impeccable there is always the potential for an unexpected event to occur. Accord’s 24 hour roadside assistance and dispatch is available for just such occurrences. The amount of insurance that we carry meets/exceeds what is required by law. A certificate of insurance is available upon request. A comprehensive screening is conducted on each driver candidate before being hired. Our drivers are professional, 19A and School qualified, and meet all required Federal Standards. In addition, Accord implements a drug and alcohol testing program. Commuting by public transportation reduces your carbon emissions (greenhouse gas effect) by 20 lbs. per day, 4,800 lbs. per year, which is more than if you weatherized your home, converted to fluorescent bulbs and replaced an old refrigerator, combined. Accord Bus takes additional steps to insure the minimum emission possible. All vehicles operated by Accord Bus use the latest technological inventions that minimizes the emission. Accord Bus adheres to the all federal, state and local emission laws. Let yourself enjoy the benefits of a relaxing, safe and timely trip to your destination. Get an instant charter bus quote by calling us at 212-973-8282 or by filling in our online quote.